Based upon true events, as reported in Nancy Jo Sales's Vanity Fair article The Suspects Wore Louboutins, this is the story of a group of LA teenagers who robbed the homes of the rich and famous. This will not be a spoiler-free review! So I should confess up-front that I am a huge Sofia Coppola fan. Her style of soft, seductive aesthetics tinged with a quiet sadness isn't for everyone. And indeed her films have sometimes been described as tales of bored rich white people. I still love them. But even if her films aren't normally your cup of tea, I would argue that in this case the whole poor-little-rich-kid thing works incredibly well with the story. All of these characters have grown up in a celebrity-obsessed culture, believing that you're not anyone if you don't have the latest designer purse and a picture of you with it on Twitter. Aside from the heady indulgence of the imagery - which includes montage scenes of shopping, clubbing, taking drugs, listening to R&B, getting dressed and taking things from Paris Hilton's wardrobe - this is also a social commentary on our culture. In terms of performances, I feel like I should point out that Emma Watson's character Nikki isn't the protagonist here. That's the impression that the media seems to give (for obvious reasons, since everyone knows who Emma Watson is), but in reality I think she acts more as the comic relief than anything. The main group of five young actors all work well together, but for me the standout performances come from Katie Chang and Israel Broussard. Their relationship was, I felt, the most interesting, and their shared desire to be one of the beautiful people was one of the most relatable aspects of the film. One of my favourite scenes is a moment when Katie Chang's character Rebecca pauses in front of the mirror in Lindsay Lohan's house to put on perfume. The low lighting and slow, quiet nature of this scene had an intensely religious feel for me, which I think highlights the extent to which these teens worship the rich and famous. Overall, if you want indulgence and acquisition which borders on the hedonistic, with a twist of sadness and a moral comeuppance, then this is for you. in my opinion it's one of the best films to show our generation at its extreme vanity while still maintaining a level of sympathy for those involved. To be honest, there are so many clothes in the whole thing that it's difficult to pick out specific ones to talk about! The costume designer was Stacey Battat, who did Coppola's other LA-based flick Somewhere. But I think it's almost less about what their clothes look like and more about the brands. All the characters are well aware of what McQueen or a Birkin looks like and how much it's worth, which is why they covet them so much. A couple of my favourite outfits included this gorgeous white shirt dress worn by Rebecca in a morning scene, so the sunlight makes her look positively glowing. She also looks ironically innocent for someone who has spent the night before breaking and entering. I also like the pink heels which Marc takes from Paris Hilton's house. Marc's real-life counterpart, Nick Prugo, says that this never actually happened but that he didn't really mind it. In terms of the movie as independent of reality, it adds an extra insight into Marc's character (who it's implied is gay or questioning in the film, though I can't find any info as to whether that's true of Nick). Probably the best thing about the costumes is that they still look fairly current now, but in a few years they'll probably look really dated, and that's a good thing because it grounds this movie in the here and now - it's a fable of the Millenial generation. So last week I went to Paris with my friend Holly for a couple of days. 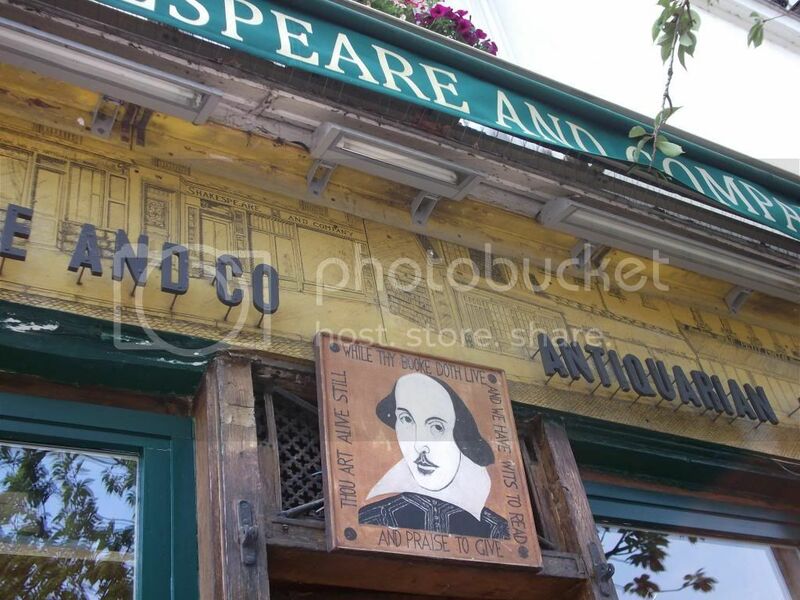 Along with going to the top of the Eiffel Tower, visiting The Louvre and trying frog's legs (I did - they were good), something on my list of things to do was go to Shakespeare & Company, a legendary bookshop in the Latin Quarter. Here's what I took with me (or bought there). Shakespeare & Company Tote Bag This was €10 and definitely worht thee money beause it's the perfect size for carrying my purchases around. Plus it's a lovely souvenir to show off once you get home. The Paris Magazine This is Shakespeare & Company's magazine, first published in 1967 when the shop had to stop selling books because the owner George Whitman's papers weren't in order. The issues seem to be sporadic (this one is from June 2010) but the articles, poetry and stories are of a hgh quality which made it excellent reading for the Eurostar home. A highlight for me was a piece by Jeanette Winterson on the books of her life. Metro ticket Because we were staying in Montmartre, so had to get the train over. Even so, it took us a good while to find the bookshop because the way the street appears on the map is quite confusing! Passport & purse Mais bien sur. The purse is from a trip to Disneyland Paris a few years ago and I now always use it for travelling. It features Minnie Mouse telling Mickey "All right - I'll go then, if you insist. But remember - it was your idea - and not mine." And no, I have no idea what the context of that is. Key Rather than going all the way to the closest Metro, Holly and I got off at Cité for a wonder around the little island. That was when she revealed that she had brought along two padlocks for us to put on Pont L'Archeveche - one of the bridges in Paris where people put love-padlocks and throw the key into the Seine... except each of our locks came with 2 keys, so we threw one each into the river and kept the other as a memento. Lipstick I bought this from the Paris branch of And Other Stories, which I recently discovered also has a store in London. 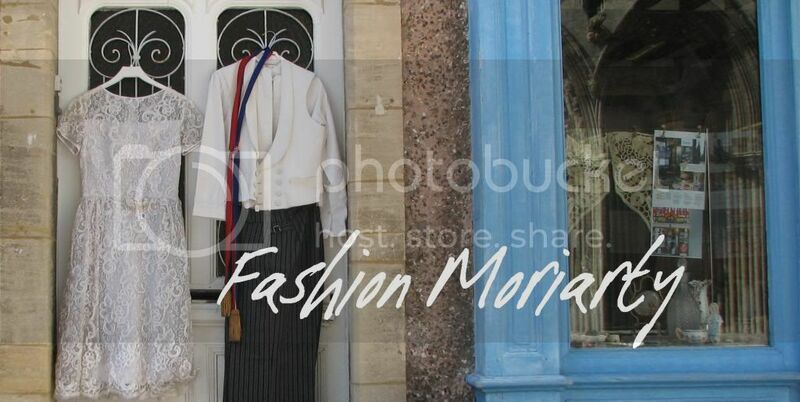 I very much like their aesthetic and will probably do a post on the shop soon. 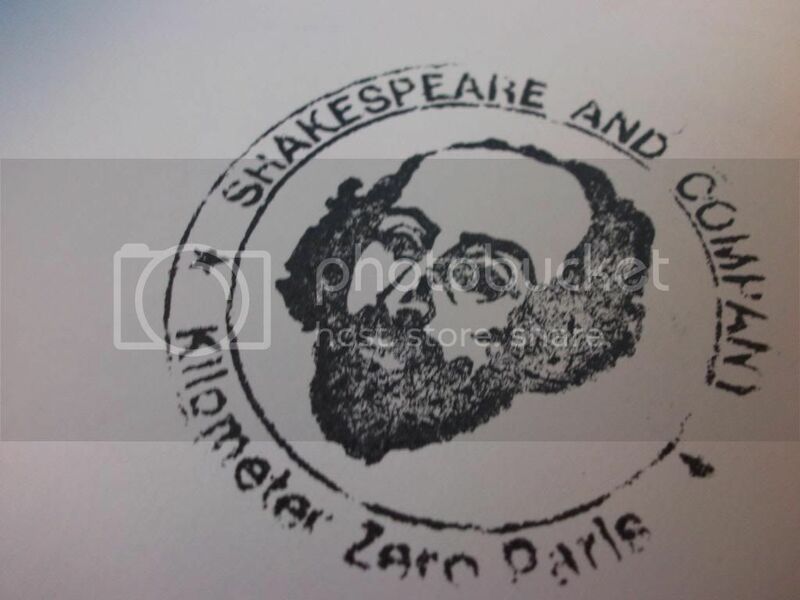 Postcards Everything you buy from Shakespeare & Co is marked with their stamp (below), even the postcards! I have no intention of sending these to be honest - I just want a reminder of this place to put on my mirror until I can return. Notebooks The pink one is for writing, the green Laduree one is from a previous trip to Paris, and was what I used to note down travel information and plans. Sunglasses It was sunny for pretty much the whole time we were there and didn't rain at all! These sunglasses were bought in France last year so I felt like they were a good choice to take with me. The Adulterous Woman and The First Man, both by Albert Camus My French only goes up to about GCSE level, so these are both in translation, but still - it felt right to buy a French writer. I've read The Outsider and The Fall by Camus previously and I love his prose (even if I'm not reading the original). These were of course both stamped with the Shakespeare & Co label on the inside. The Adulterous Woman was particularly good because it's a collection of 3 short stories - perfect for taking on a Metro ride. 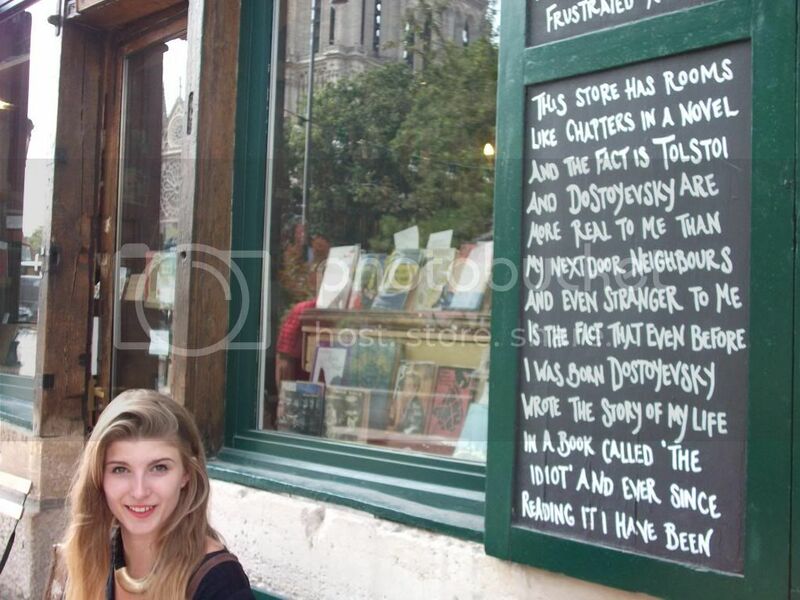 I loved visiting Shakespeare & Co. The atmosphere alone is enough to make me want to spend hours there. As well as an impressive range of books for sale, both old and antique, there is also the Sylvia Beach library, where you can sit for as long as you want and read. In one part of the shop is a piano, which I tentatively played the Top Cat theme on, and was told "tres bien" by another customer. If you've never heard of it, the basic story is that the original Shakespeare & Co. was started by Sylvia Beach in the 20s, and it became a hang-out for great writers of the time: Ezra Pound, Ernest Hemingway and F.Scott Fitzgerald to name a few. After it was closed during Nazi occupation, another store was started on Rue de la Bucherie by George Whitman in 1951, though under a different name. This is the store which still exists today, though the name was only changed to Shakespeare and Company in the 60s, in tribute to Sylvia's store. 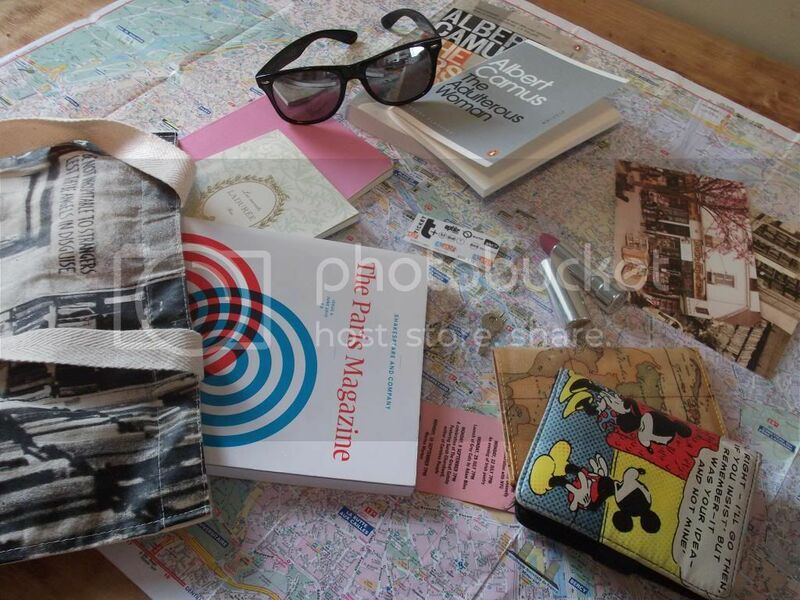 Labels: Books, France, Travel, What's in my bag?